MyCarNeedsA.com is delighted to announce that Sopley Garage is now a part of the network and can place quotes for you MoT in Christchurch. Sopley Garage is located on the Ringwood Road between Christchurch and Ringwood which is a very handy location, so if your car needs a MoT, service or car repair work, simply type your number plate into MyCarNeedsA.com to find MoT Christchurch and garages in the area. By selecting MyCarNeedsA.com you are guaranteed to get quotes from a local approved garage. MyCarNeedsA.com has a range of dealerships, independent garages, manufacturers and fast fit chains who can provide quotes on MyCarNeedsA.com. Allowing the user to read reviews, compare quotes, accept quotes and book in online. MyCarNeedsA.com has garages in Christchurch ready to quote on all your car needs. MyCarNeedsA.com welcome like to take this time to welcome Sopley Garage onboard. Sopley Garage is an independent family run business that has been established for over 10 years and has a convenient site based between Christchurch and Ringwood. 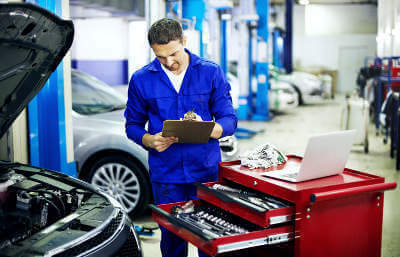 Sopley Garage mechanical team are there to offer a neutral expert opinion on all your car needs and ensure the option you choose is best for you and your car. Sopley Garage has lots of skilled mechanics in-house who are fully trained on the latest techniques and equipment. Sopley Garage is also renowned for their well established relationships with the local consumers and for constantly updating their diagnostic equipment and having the latest equipment to help solve any problem with your car. Sopley Garage is a trusted garage and are rated 5/5 for their value, customer service and helpfulness and the quality of work. Sopley Garage have been assessed by MyCarNeedsA.com to ensure customers have access to a high quality of service. Sopley Garage can repair any make and model car or van. So, if you are looking for a MoT and service in Christchurch you can get quotes through MyCarNeedsA.com today. The Sopley Garage team are experts in MoT, servicing, air conditioning recharges, tyres, brakes, clutches, exhausts and much more. The very capable team at Sopley Garage are there to help get your car back on the road fast. So, if you are from Winkton, Bransgore, North Ripley, Burton and Hurn area then Sopley Garage can provide a quote for all your car needs through MyCarNeedsA.com.